Lula co-owners Jess and Erin Bourgeois. Photo by Elsa Hahne. Bottled gin and tonic is ready to go. When Lula opened its doors last February, New Orleans and all of the Deep South got something new—a restaurant that’s also a distillery. Operating much like a brewpub, the making of alcohol constitutes the disciplined business in the back while its consumption shapes the party up front. Through a floor-to-ceiling glass wall, guests can watch the giant copper still in action, with base spirit flowing from one of the two 3,000-liter fermentation tanks. Lula makes three types of alcohol: vodka, gin and rum. Despite what many think, the establishment isn’t named after anyone’s grandmother, but after the sugar mill in Belle Rose, Louisiana where the distillery gets its raw cane sugar (near Donaldsonville, where Jess Bourgeois, one of the three owners, grew up). Nonetheless, Lula gets frequent requests for branded tees by customers with a more familial connection. In the room that holds the still, the comforting smell of raw cane sugar shines almost brighter than the copper. The taste, as well, dominates Lula’s entire line of spirits—including the vodka, which traditionally is praised for more or less an absence of flavor. 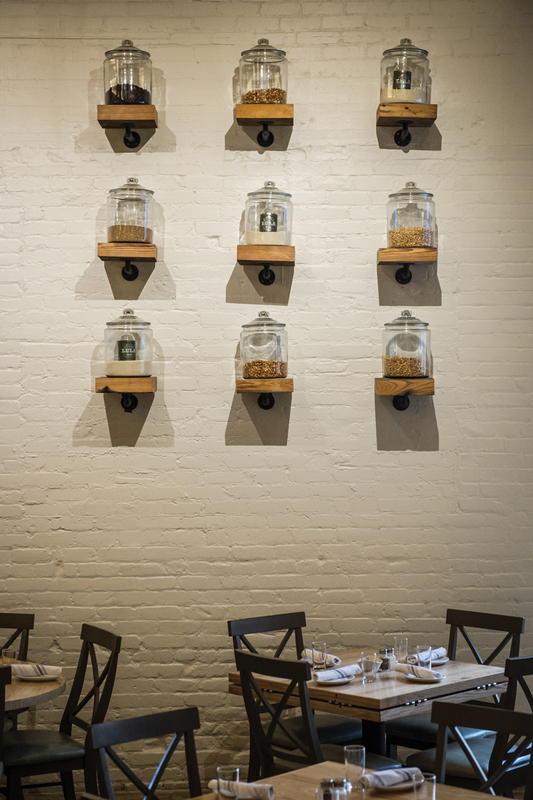 On the wall in the dining hall, clear glass jars display the botanicals used to flavor the house gin: bitter lemon and sweet orange peel, angelica root, coriander, orris root (which smells like violets), black pepper and, of course, juniper. For those who think gin tastes like pine trees, juniper is usually the reason. At Lula, the distillers tone down the woodsy flavors, focusing more on florals and citrus instead. The Bees Knees, one of Lula’s most popular cocktails, is made with gin, lemon juice and honey. It’s batched and served on draft, like in a brewpub. Lula also bottles cocktails. They currently offer two: a classic gin and tonic and a Negroni. Jess Bourgeois just acquired a pump to replace the centrifuge he’s been using to clarify fruit juices for cocktails, where, through finer and finer filters, even ruby red grapefruit comes out a pale yellow. Discussing endless possibilities, he displays the enthusiasm of a kid with a new science kit (back when there were no iPhones). That energy came in handy when the custom still they ordered came in from Germany—in thousands of parts. He admits that if he’d known in advance just how difficult it would be to put the still together, he might have passed on the whole distilling idea. Part of the process of opening Lula involved making a change to state law. In order to have a distillery adjacent to a restaurant, the Bourgeoises along with their business partner—distiller and Baton Rouge physician Bear Caffery—worked to have a bill passed in the Louisiana legislature in 2015. The Bourgeoises met Caffery on a trip to New Zealand with mutual friends in 2009. Caffery had been an avid home brewer until he realized he was allergic to gluten and switched to home distilling, which is legal over there. 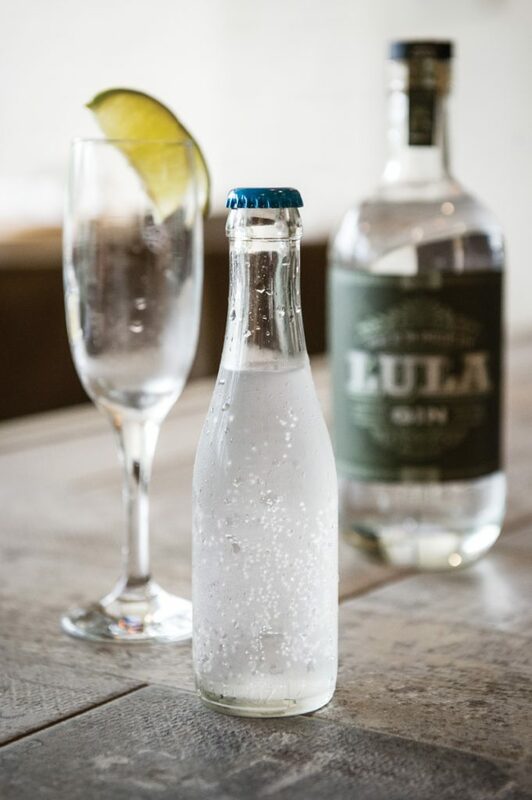 Guests who enjoy Lula’s spirits in the bar and restaurant can buy bottles of gin, vodka or rum from the distillery in the back. Because of Louisiana’s distribution laws, they can only be sold at Lula’s, and therefore won’t appear in local stores any time soon. On July 20, Lula will host a Tales of the Cocktail spirited dinner, offering its own spirits in classic cocktails paired with Southern-style courses, including shrimp, greens, scallops and quail.